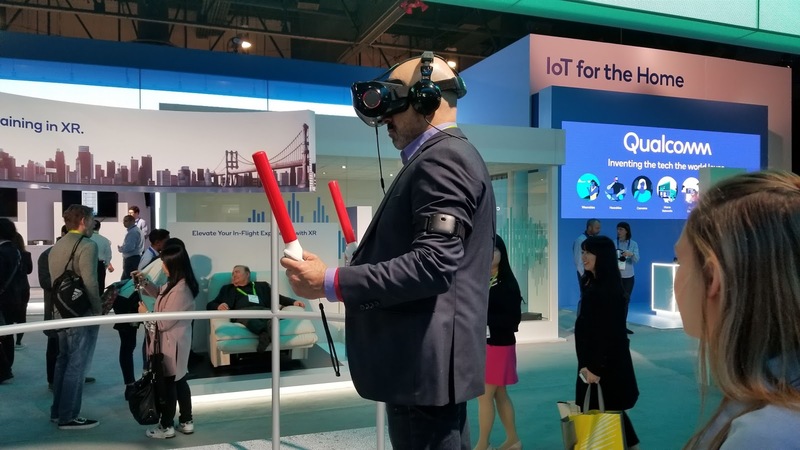 If you pay attention to hype only, you probably missed out on the significant progress that both virtual reality and augmented reality providers displayed at CES this year. 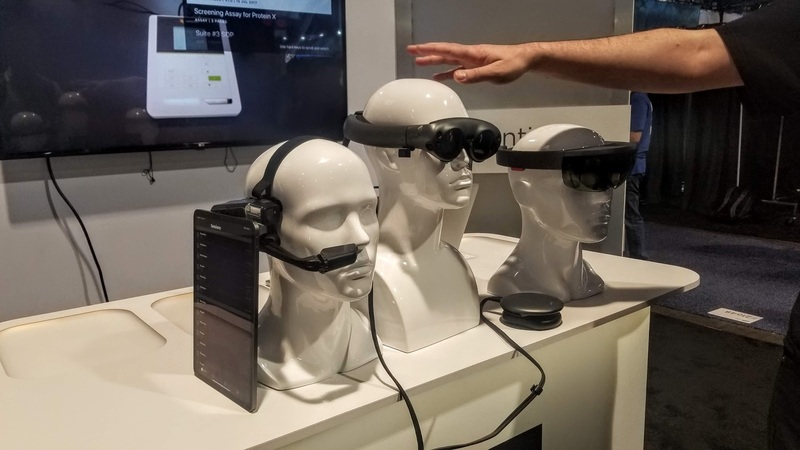 The next generation headsets shown at CES show dramatically higher resolution, wider field of view, and ever more sophisticated tracking, including the compelling trend toward standalone headsets that we expect to make a big splash later this year. In our analysis, there's no doubt that despite the waning consumer interest (i.e., gaming and media viewing), there's a steady growth in professional and enterprise interest and applications. For expert advice on how you can use VR in your professional projects, please contact WorldViz. 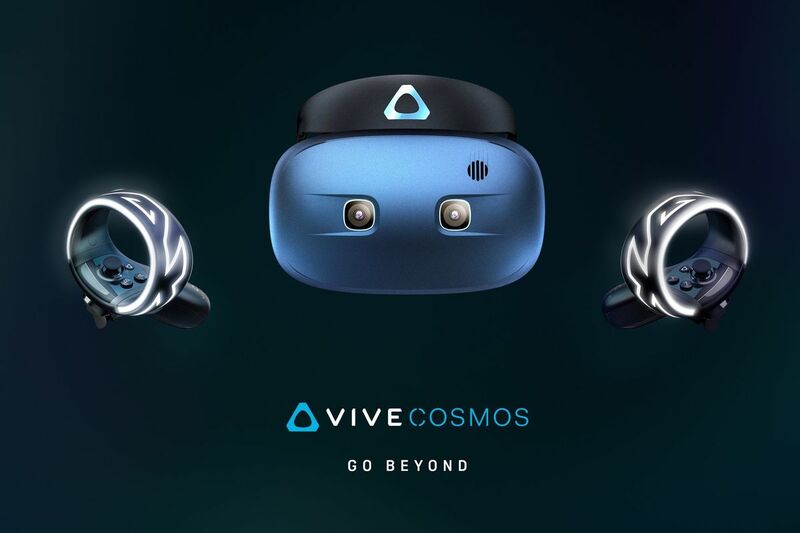 HTC Vive made a series of announcements that includes an Eye tracked version of the Vive Pro ( with eye tracking provided by Tobii), The Vive Cosmos (a PC tethered headset with inside out tracking), as well as a new platform for experiencing applications called “Vive Reality”. 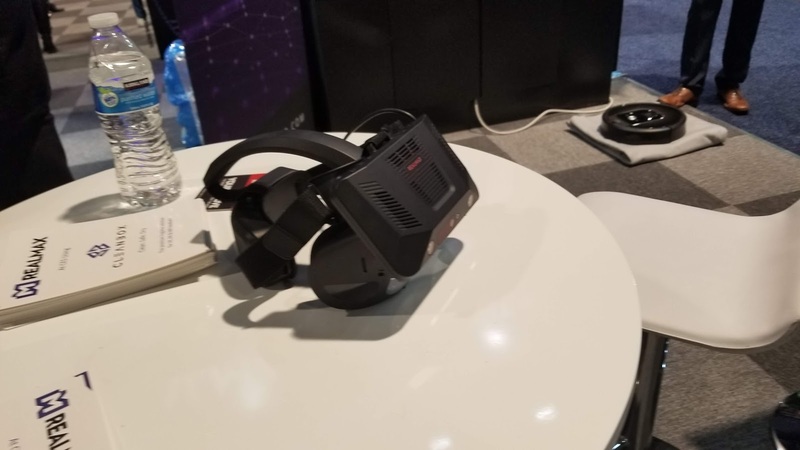 Pimax was showing off multiple versions of their headset, which included an 8K version, a 5K version and a 5K version with eye tracking (provided by 7invensun) There are business editions of these models as well. They were also showing their new controllers that look very similar to the Valve Knuckles, and an integration with LEAP motion. Augmented reality continues to see growth and there were quite a few new AR headsets being shown. Most of them providing a small form factor and some form of inside out tracking. 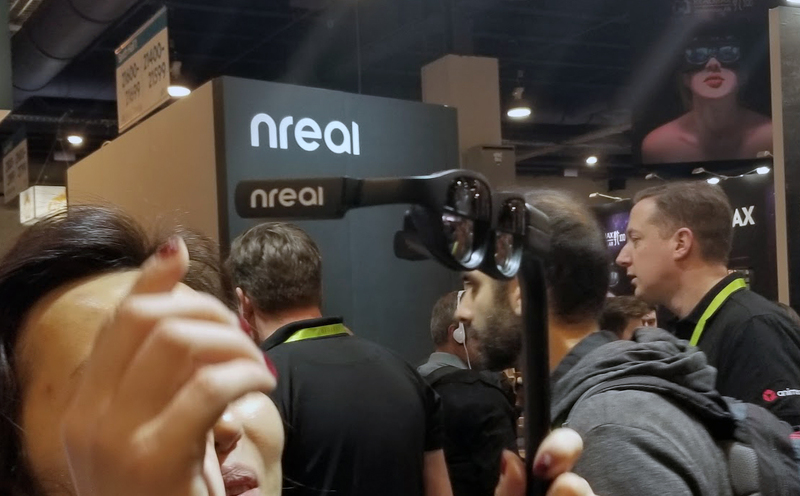 Nreal, a strong competitor to Magic Leap out of China, has a slim design and surprisingly high quality visuals. The holograms that were displayed in the glasses were very high contrast. 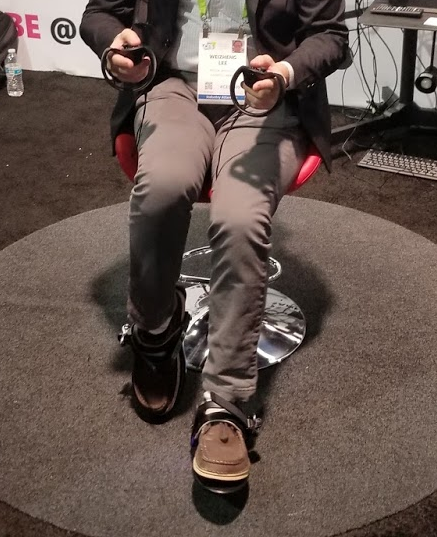 This headset also has inside out tracking, using the SLAM algorithm (although not on the unit that I tested on), and uses a small, portable computer similar to Magic Leap (powered by a Snapdragon 845), and has a 52 degree FOV. These glasses will go on sale this year and are estimated to be around $1,000 USD. 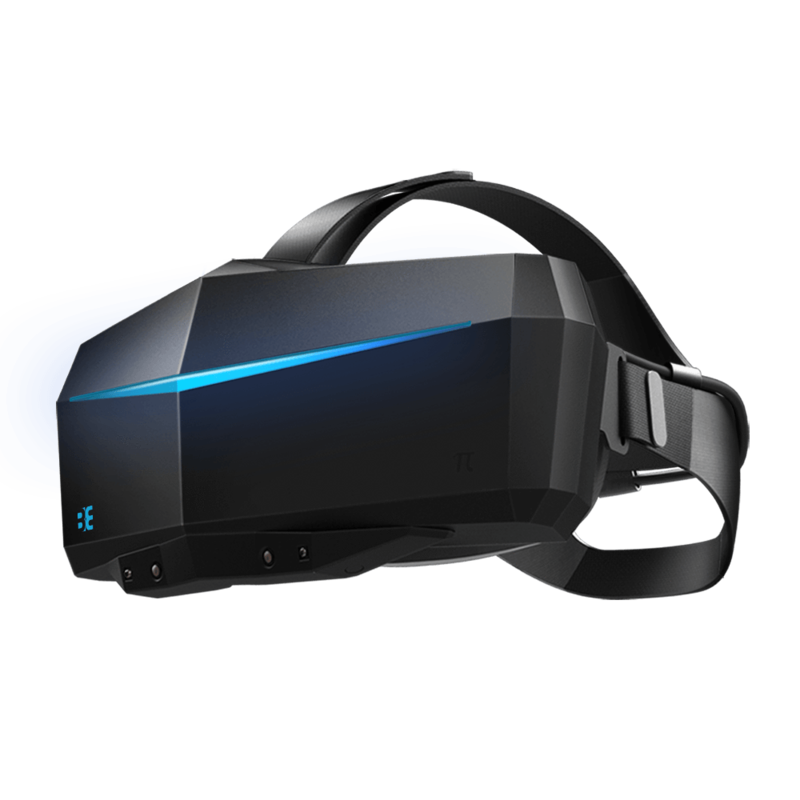 Another AR headset that stood out was one from Realmax, which boasts a 100 degree field of view and can switch between AR and VR. It is a standalone, 6DOF unit similar to Hololens, so there is no need to tether it to any device. 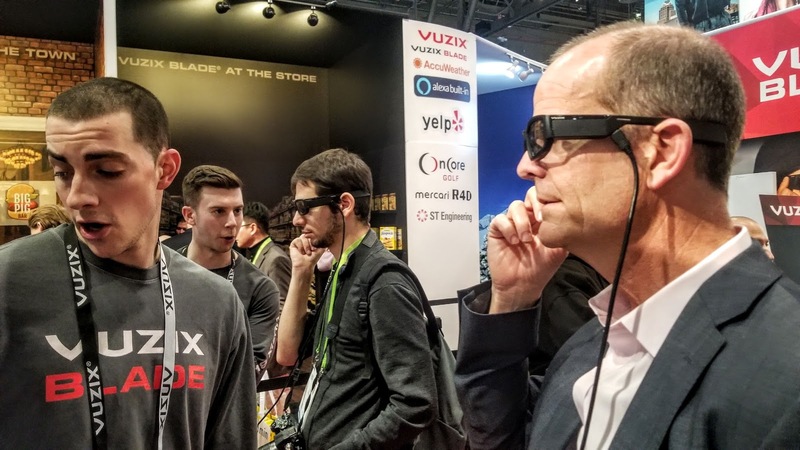 Vuzix’s “Blade” glasses provide a Google glass like experience, with data and images appearing in the top right area of your view. 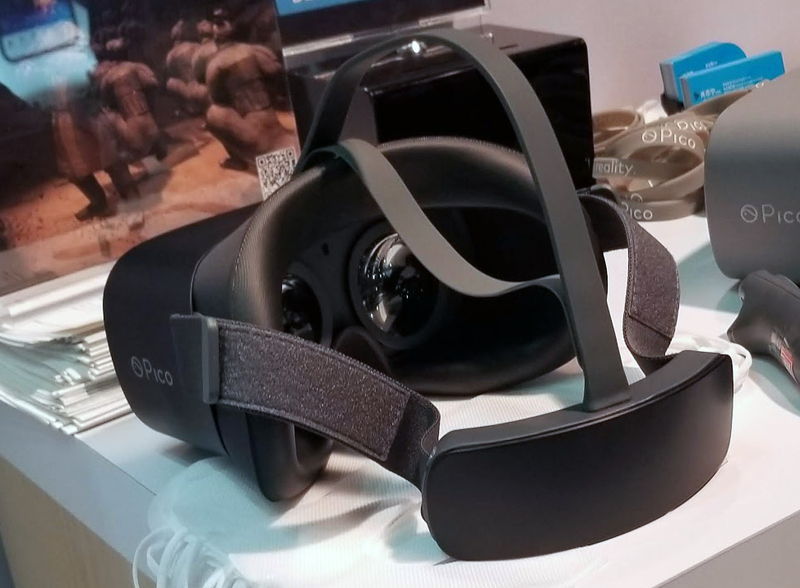 In addition to headsets, there was also some updates and improvements to other hardware related to VR, such as cameras, tracking systems, and peripherals. 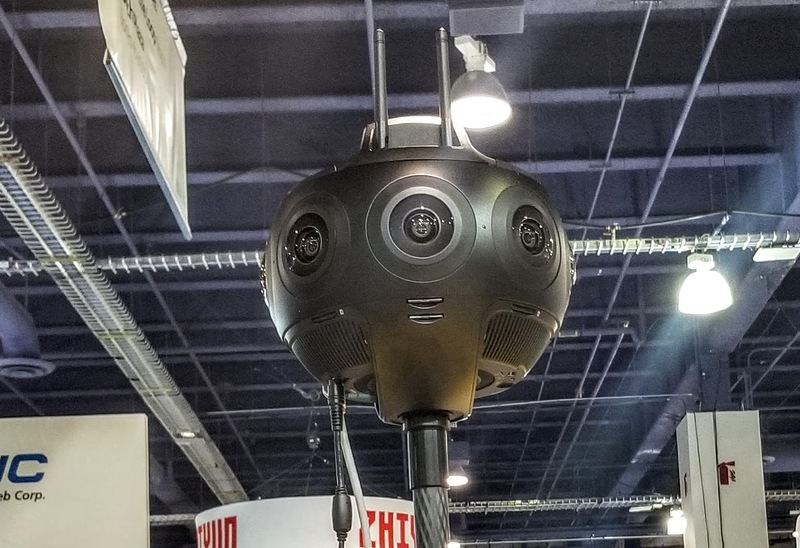 Insta360 revealed their new camera “Titan”, that allows for 11K monoscopic or 10K stereoscopic video (as well as stereoscopic images at 11K). The camera will sell for around $15K and they are now taking reservations. 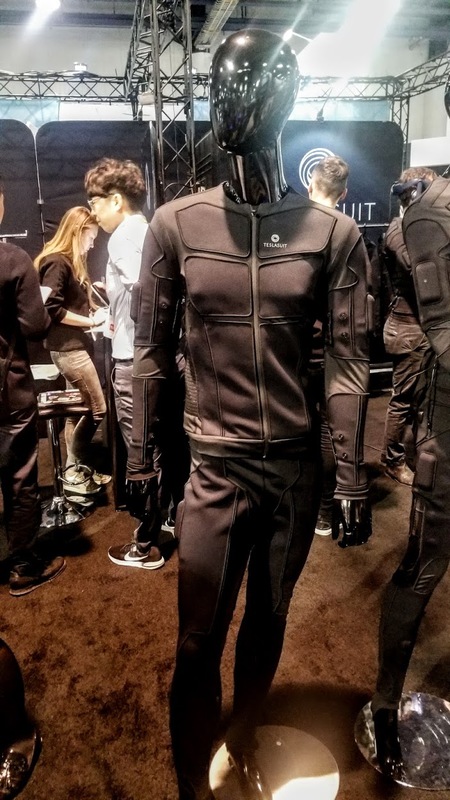 Teslasuit, a full body suit that provides haptic feedback (through electric stimulation), biometric measurements, climate control and motion tracking (through IMUs) was on display. Cybershoes was showing off a demo using Skyrim VR and Doom VR to let attendees try out their walking VR solution. Glove maker, Bebop displayed an updated version of their gloves at the Eureka Marketplace in Sands. 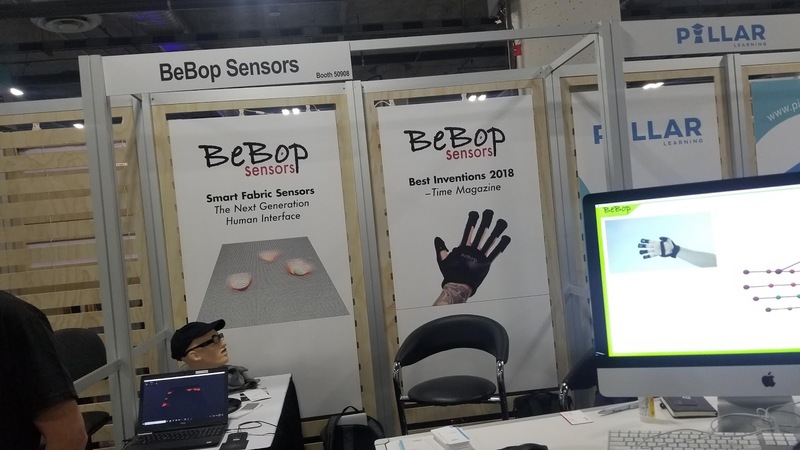 The glove, which features fabric that can measure pressure and flexion to provide finger tracking and haptic feedback, is nearly ready for market. MedVR had an impressive demo using a device that allows you to simulate a surgery coupled with the LEAP motion. 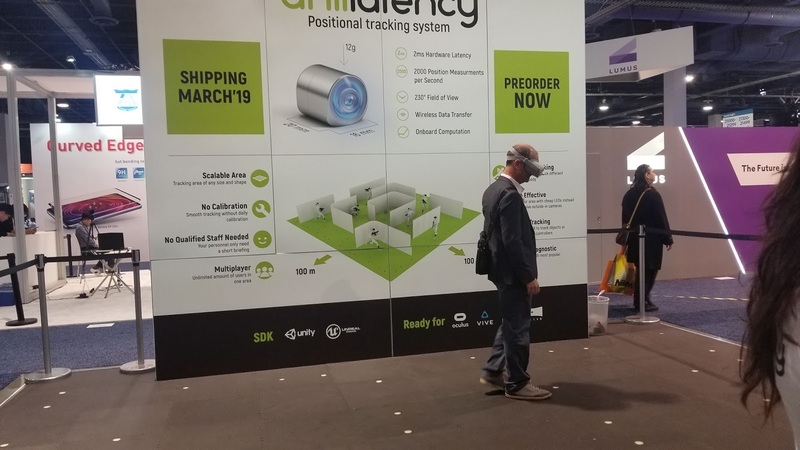 Anti-latency is soon to be shipping their positional tracking system that can work with any HMD using a system of markers placed on the ground and a camera attached to the HMD. 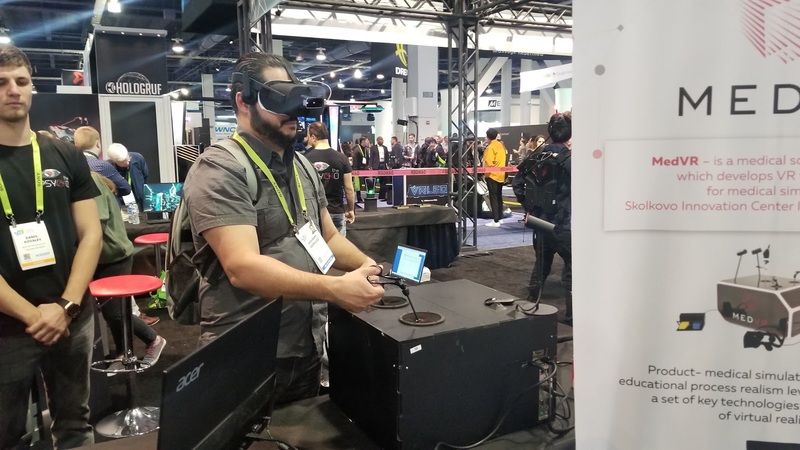 That’s a wrap-up on some of the technologies related to VR and AR that were shown this year at CES. 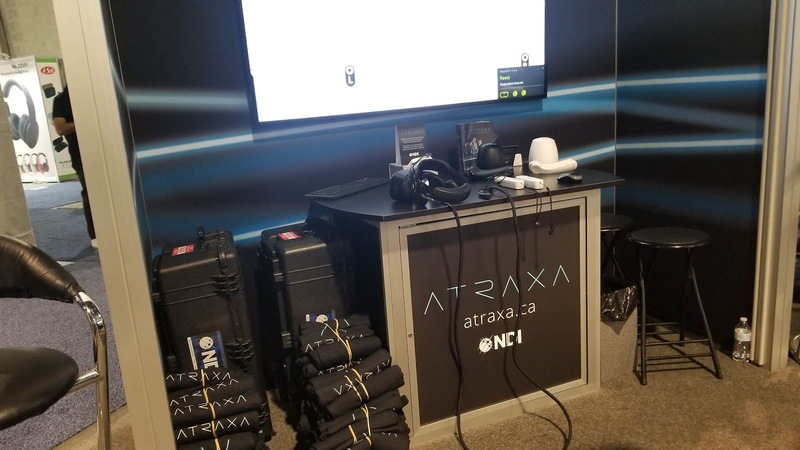 While there was less hype around virtual reality’s promise for a huge consumer wave, it is exciting to see the various elements involved in it continue to grow and we look forward to seeing how these companies develop over the years ahead.